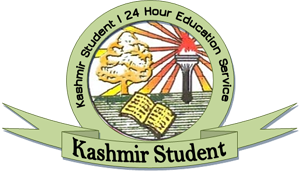 Authorities at University of Kashmir today denied services of a scribble-of-choice to a visually handicapped girl appearing in entrance test for admission to integrated LL.B course. 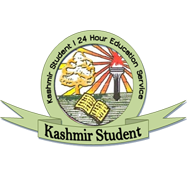 When, Shania Zehra, who was earlier allowed by authorities at Delhi University, Central University of Kashmir and CLAT to sit in exams along with her scribe, today went to appear for admission entrance test at Kashmir University's linguistics department, she was disallowed by the authorities the services of the scribe of her choice. "Earlier when my daughter appeared for the test at the KU itself, she was allowed to appear with a scribe writing the exams for her," said her father Syed Abid Hussain of Lal Bazar Srinagar. Authorities had cancelled the examination later. "However when the exams were re-conducted today, my daughter was not allowed the scribe and instead they asked some university official to write for her," he said, adding, a visually handicapped girl cannot feel comfortable with a stranger. "How can she have faith in a person she doesn't know? The university officials attitude is irresponsible and pathetic," he lamented. Pertinently, the girl had earlier passed her 12th class examination from CBSE with 84% marks and stood first at National Institute of visually handicapped at Dehradun. However, the authorities seem to be ignorant about laws apart from been grossly insensitive. According to experts, the University was bound by a Supreme Court ruling to allow the visually challenged girl with a scribe of her choice. However the scribe should not be studying in the same class or a higher class than the girl appearing in exams, experts added. "I always wanted to become a lawyer, but I found people outside Kashmir much more understanding and sympathetic towards me," a crying Shania said. "They don't know rules and on top of that they are heartless," she added. The candidate Shania Zehra who was appearing in the entrance exam under Roll No 430195 had earlier been allowed a scribe of her choice namely Qurat ul Ain a student of class XI, father of the candidate said. "I don't know how rules changed within a period of 20 days," Abid lamented.